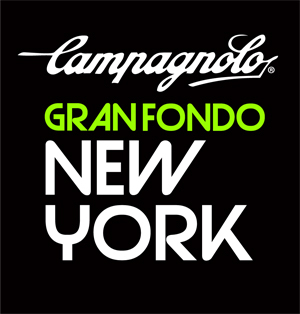 The 5th annual Campagnolo Gran Fondo New York will be held on May 17, 2015 and Selle San Marco is excited to announce that it will again be among the partners of the famous international cycling race with an Italian soul. A new agreement has been reached with the organizers of the event for a multi-year extension of the contract the Selle San Marco brand and GFNY that has been established since GFNY’s inaugural edition. The partnership goes beyond sponsorship and has become a friendship based on the same values. GFNY co-founder Uli Fluhme confirms: “It’s an honor for us to call a storied company like Selle San Marco a partner of GFNY and to call the team members friends. Selle San Marco has been a key player in cycling’s history and will continue to be relevant with its progressive technology that doesn’t ignore heritage. 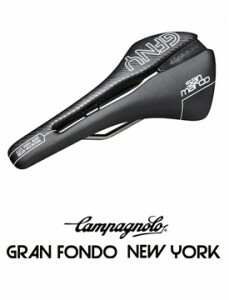 We are proud to offer GFNY participants a range of customized saddles that offer superior comfort and great design”. Aware of the appeal of the event and of its great potential for growth, Selle San Marco did not hesitate to bet on the success of what is currently one of the most international granfondos in the world: the race features the world’s most international peloton with riders from over 70 countries and 48 US states. Selle San Marco is also the presenting sponsor of the new Vintage category at GFNY where riders compete on bikes from 1987 or earlier. An independent jury will pick the three best vintage bikes and award prizes. Just like at previous edition of Campagnolo Gran Fondo New York, Selle San Marco is proud to announce the official custom saddle of the race: the new Mantra which is based on one of the new racing models of the collection. This special edition is now available in the online shops of both of Selle San Marco (www.sellesanmarco.it) and Campagnolo Gran Fondo New York (www.gfny.cc/shop).